If you are close at all, you really should check out this year's NE SAAC Regional Mustang and Shelby Show. 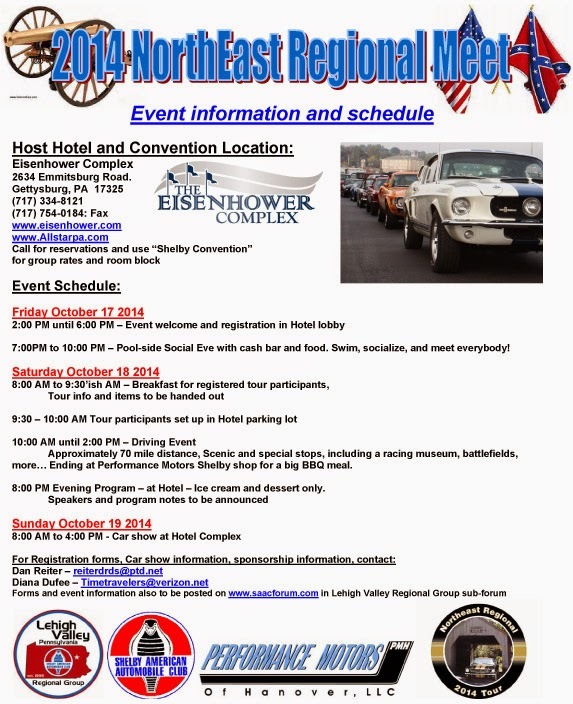 This year the meet is being held at a new location in Gettysburg, PA. It will be held October 17-19, 2014. This is always a super popular event. There's just something for everyone with a road tour ending with a BBQ lunch on Saturday and then a popular vote car show on Sunday. Click here or below for more information and to download entry forms.